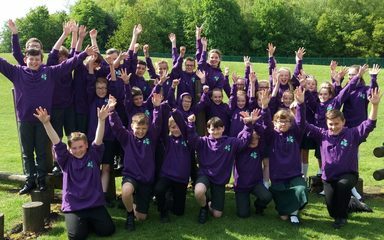 Year 6: co-ordinated and controlled! We spent a fantastic and fun afternoon developing our ball control skills through team games and individual challenges. Year 5 have arrived safely and are having a quick snack before going straight to their first activity. Have fun guys! 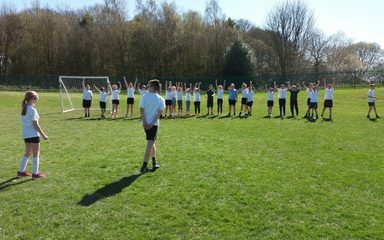 Fun in the sun in our weekly PE lesson. This term we are developing our athletic skills both track and field.